Travelling exhibition presented at the Canadian Museum of History, in Gatineau, Québec, from November 23, 2018 to April 14, 2019. 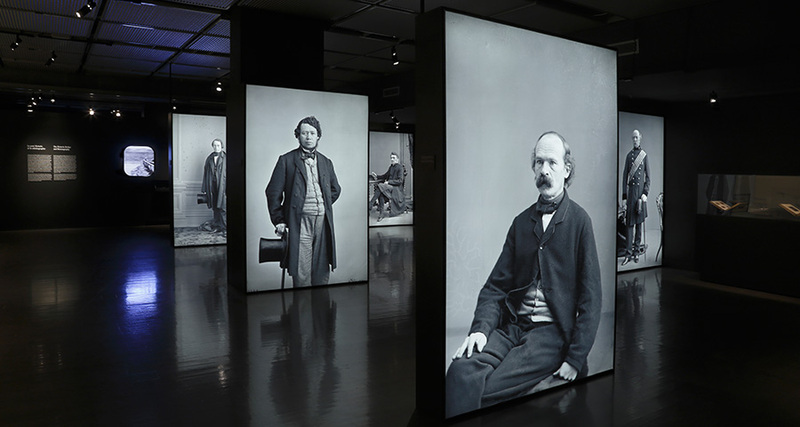 This exhibition offers a new perspective on the career of William Notman (1826–1891), Canada’s most important nineteenth-century photographer. It demonstrates how Notman owed his success to the modernity of his approach to photography – an approach founded on principles of communication and innovation. Organized thematically, the exhibition features over 250 photographs and objects drawn primarily from the McCord Museum’s collection. While focusing on vintage prints, displays are supplemented by multimedia installations and interactive devices that provide dynamic contextual information and help clarify nineteenth-century ideas of modernity for a contemporary audience. Hélène Samson, Ph.D., is a photography historian and the Curator of the McCord Museum’s Notman Photographic Archives since 2006. She has curated more than twenty exhibitions at the McCord Museum featuring contemporary photographers such as Lynne Cohen, Mimmo Jodice, Benoît Aquin and Claire Beaugrand-Champagne, and a number of historical photographers, including Edward Curtis, Alexander Henderson and William Notman. The McCord Museum will send the photographs to the borrowing venue fully packed and will make the transportation arrangements for the incoming and outgoing shipment. Exhibition text, graphics and AV will be provided in English and French in electronic format. Specific requirements for display will be supplied. The richly illustrated, 250-page catalogue of the exhibition, Notman: A Visionary Photographer, published by Hazan (Hachette), will be available for the venue’s boutique. A comprehensive media package in English and French will also be available in electronic format. Through photographs of Montreal’s expanding sprawl and new constructions from 1856 to 1870, this section shows how Notman was quick to carve a place for himself at the centre of the city’s developments. Visitors discover the personality of the photographer through his self-portraits, family history, and early “VIP” clients. 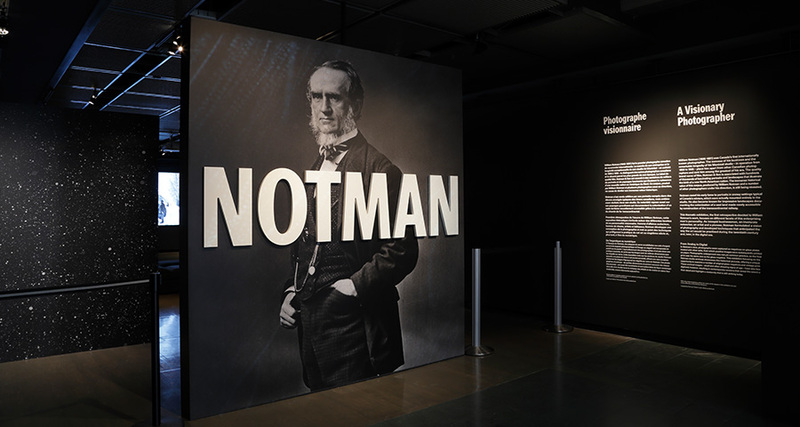 Through a carefully-designed reconstruction of the studio itself, they are able to visualize what the Notman studio experience would have been like. This central part of the exhibition, which illustrates the wide range of individual and group portraits produced by Notman’s studio, demonstrates how portraiture became a form of entertainment – an amusing way to both affirm and experiment with one’s identity. Begun as a family-run business, the firm soon expanded to include up to fifty-five employees, and many branch studios were established throughout Canada and the United States. Rare artefacts like the firm’s “Wage Book,” “Picture Books” and “Index Books” bear witness to Notman’s visionary working practice. Notman was an early promoter of the photograph’s artistic potential. From intricately painted photographs and highly complex composites to spectacular studio mises-en-scène, these works prefigure the level of manipulation of the photographic image currently made easy by digital media. With an impressive gallery of large-scale prints from glass plate negatives, shown together for the first time, this final section of the exhibition reveals the impact Notman had on the dissemination of the idea and image of Canada.